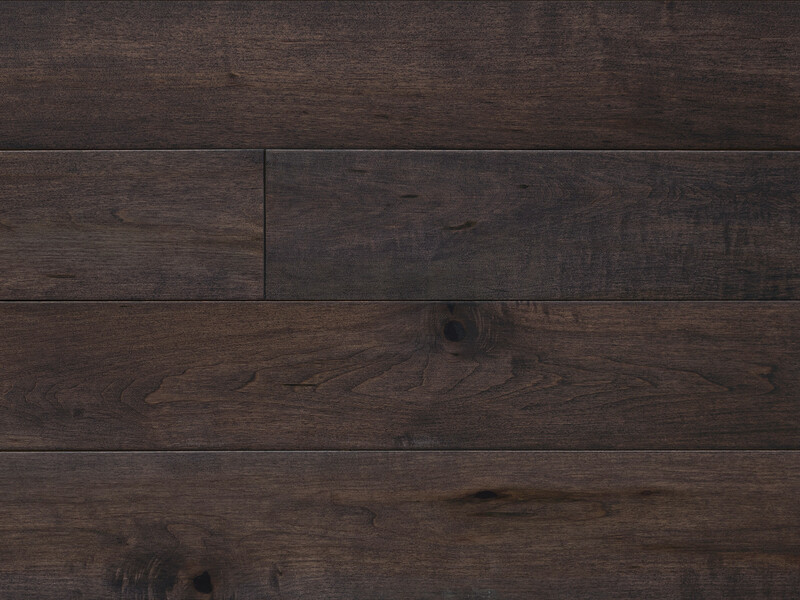 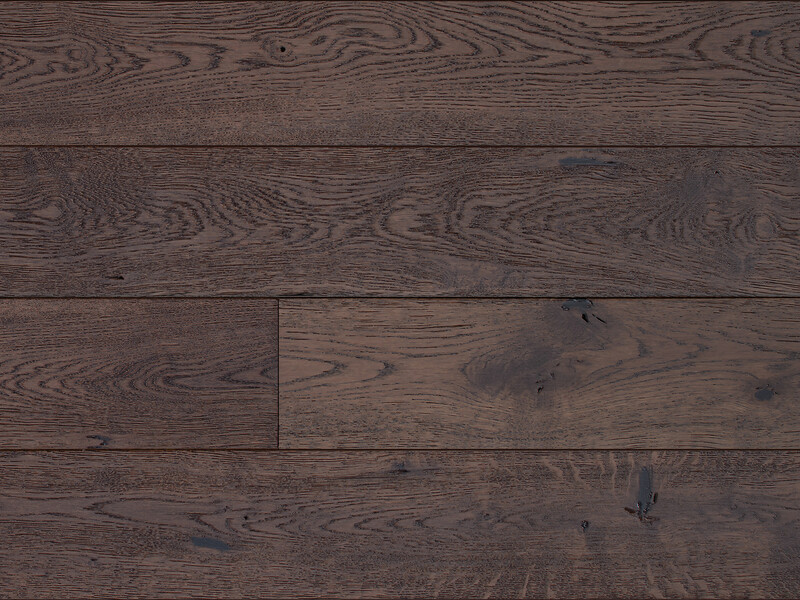 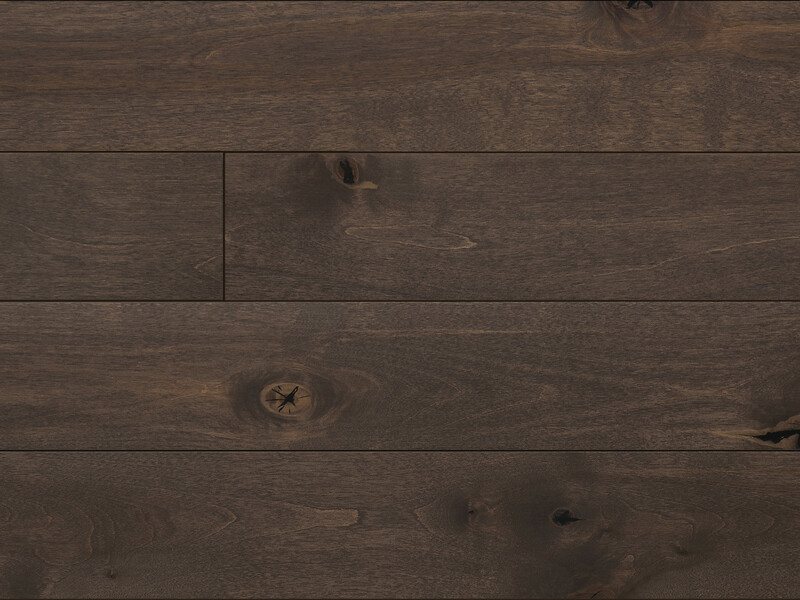 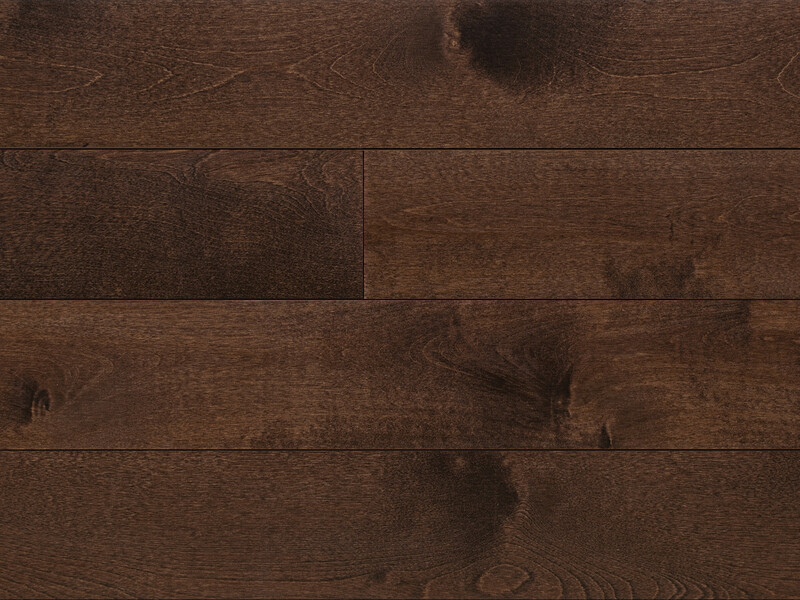 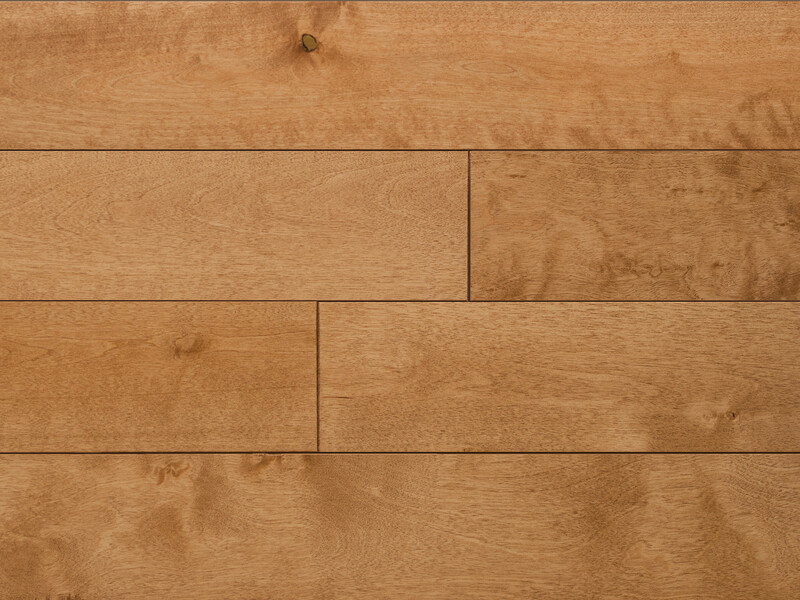 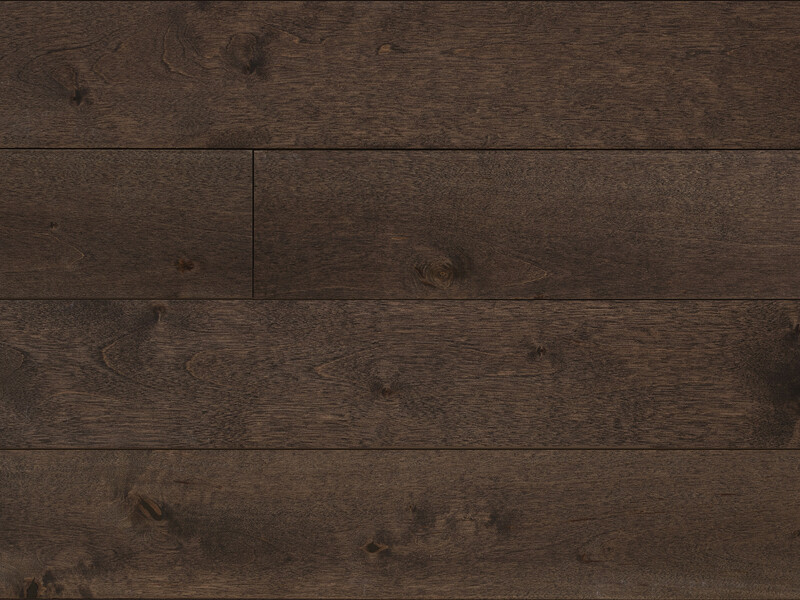 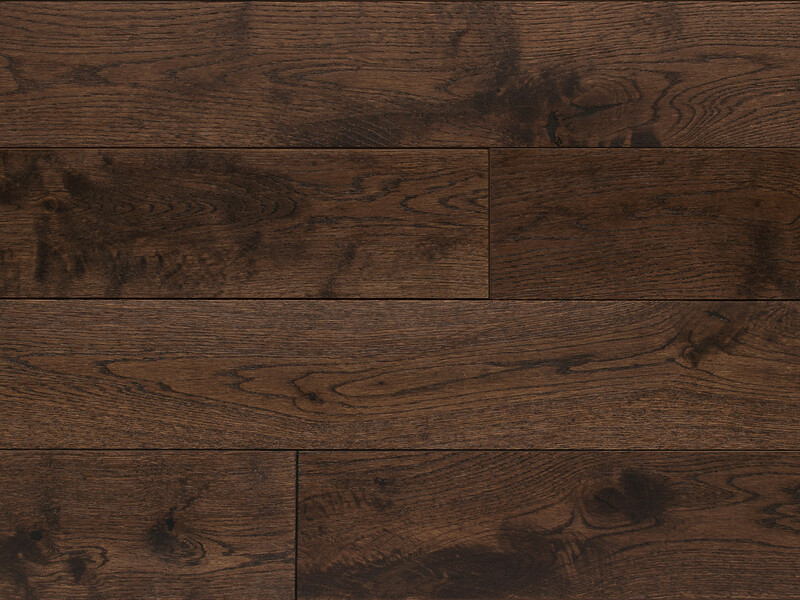 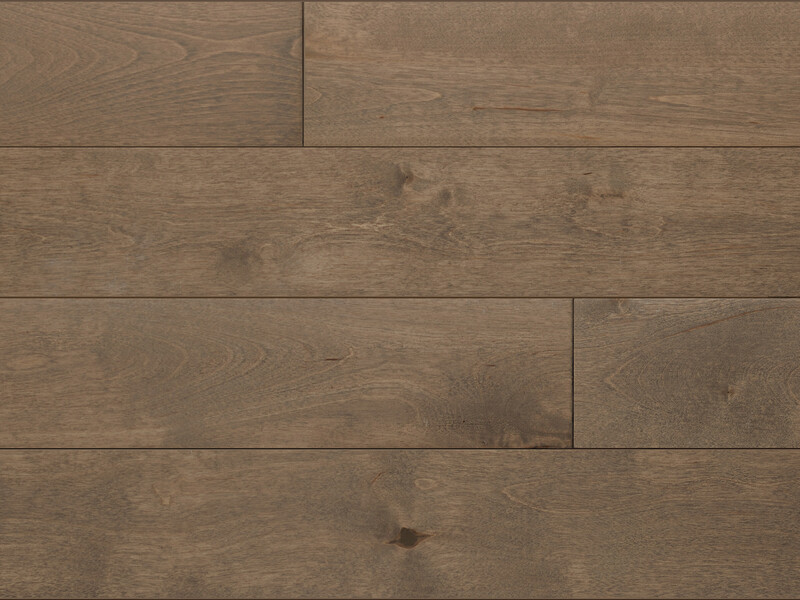 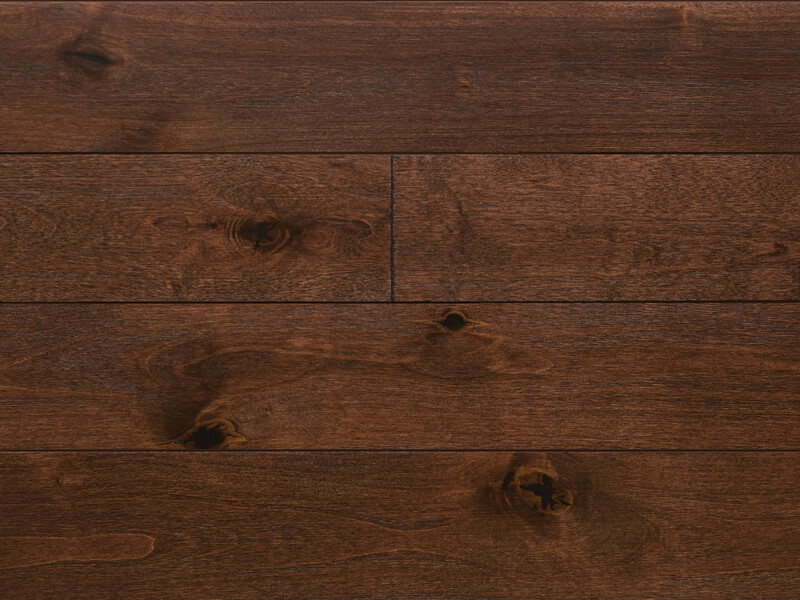 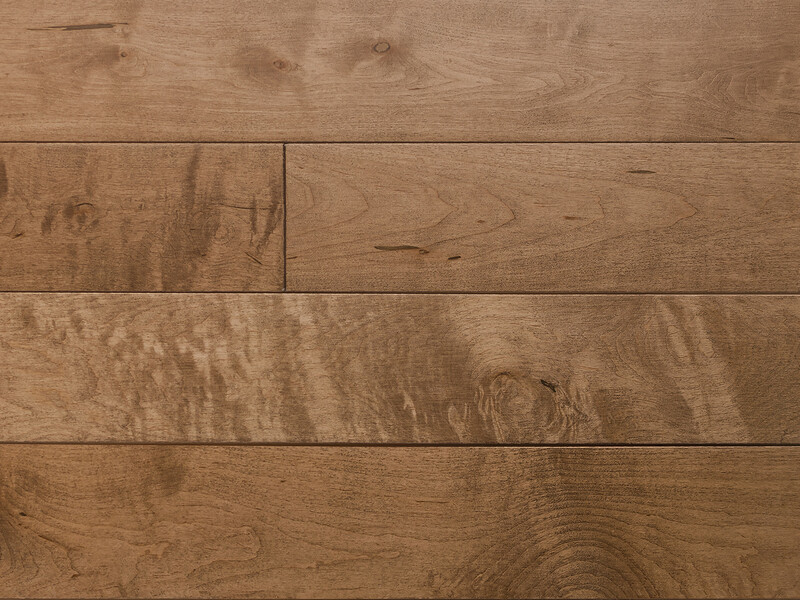 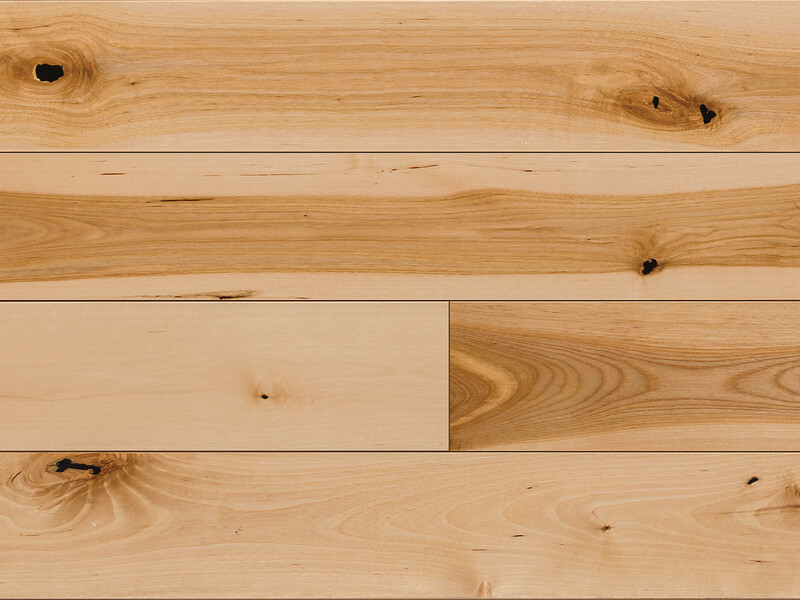 Alberta Maple is a smooth faced Maple in 3-1/2 inch widths, and lengths to 5 feet. 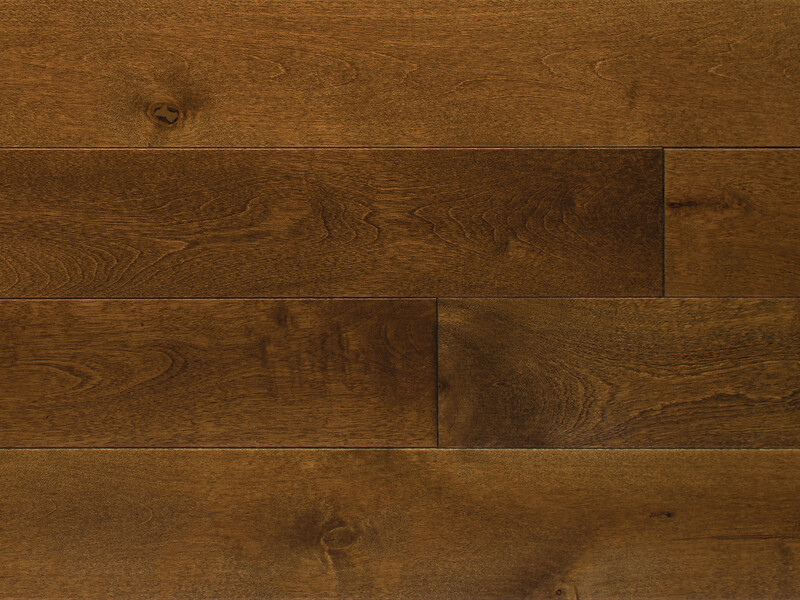 It is offered in Natural and four stain colors. 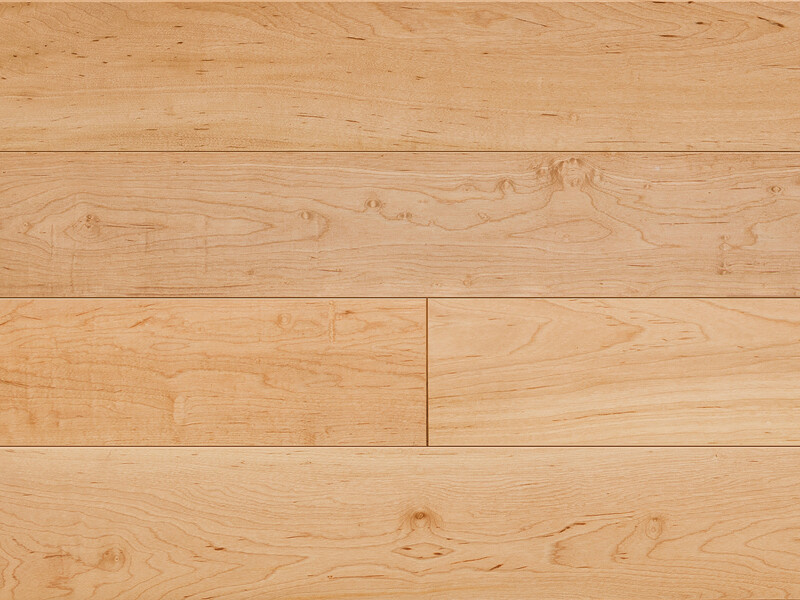 Benson Birch is a smooth faced Birch in 3-1/2 inch widths, and lengths to 5 feet. 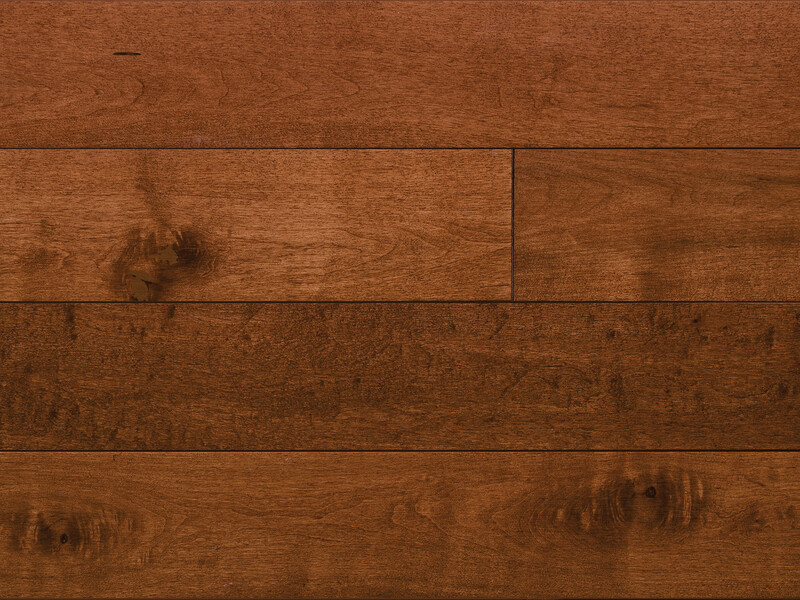 It is offered in Rustic Natural and 5 stain colors. 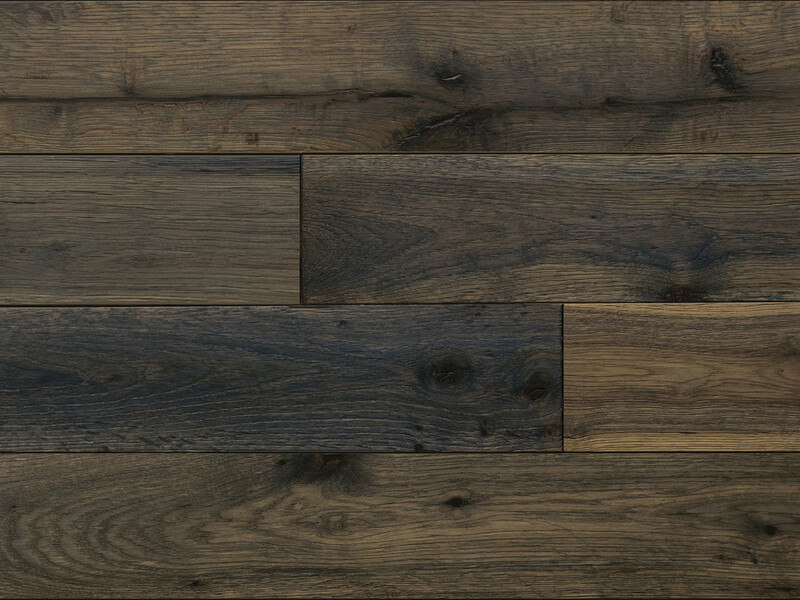 Cobblestone Creek is a our new 3-1/2 inch, smooth faced, wire-brushed product that is offered in two colors of Birch and 3 colors of Oak.